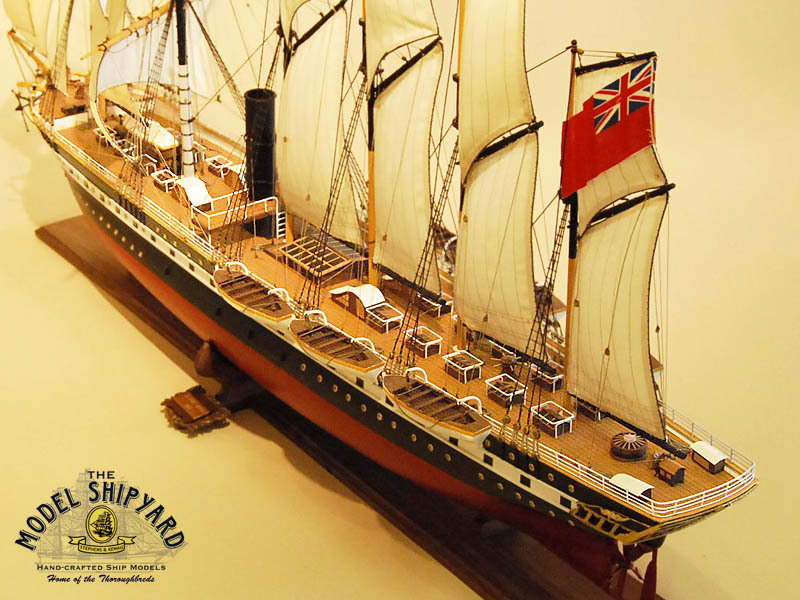 The SS Great Britain was a Screw steamship of the Royal Navy with an iron hull and a complement of 260. 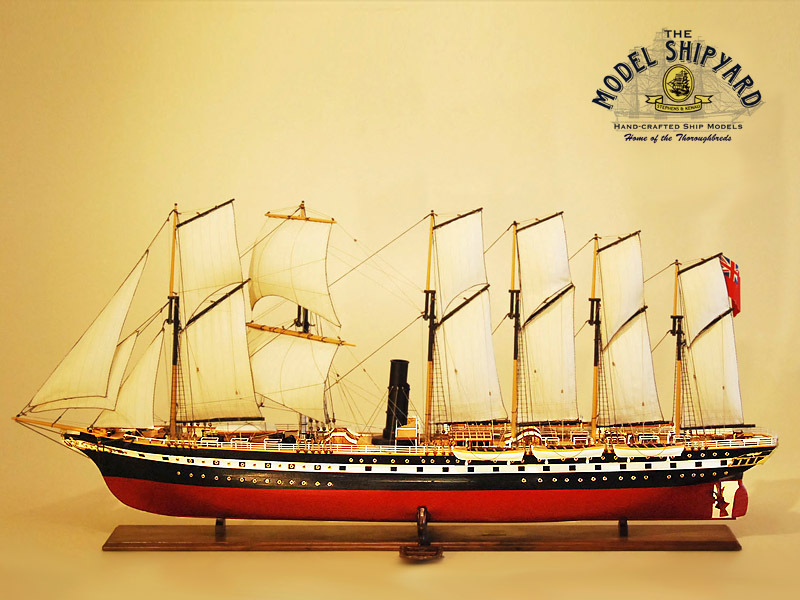 She was designed by Isambard Kingdom Brunel and built by Great Western Steamship Co., Bristol, England. 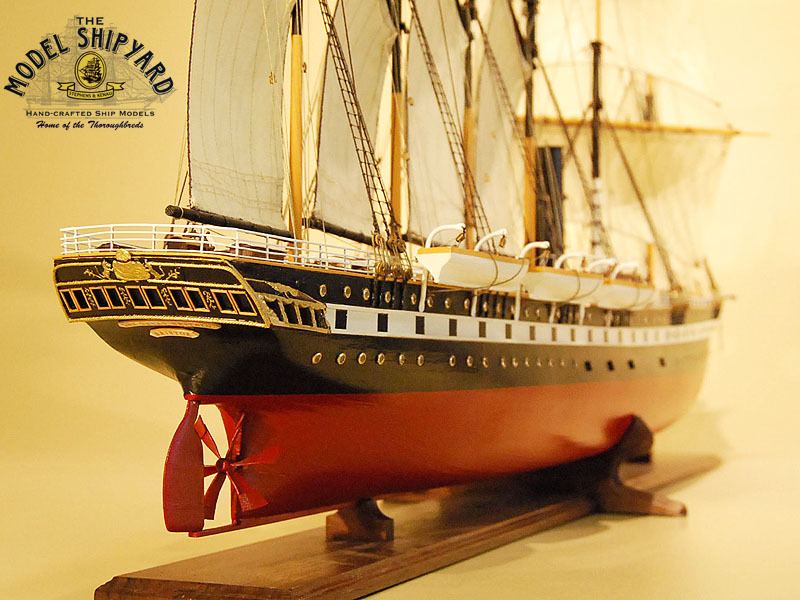 She was launched in 1843 and was by far the largest ship of her day. The SS Great Britain was also the first seagoing ship built of iron and the first to be driven by a screw propeller. 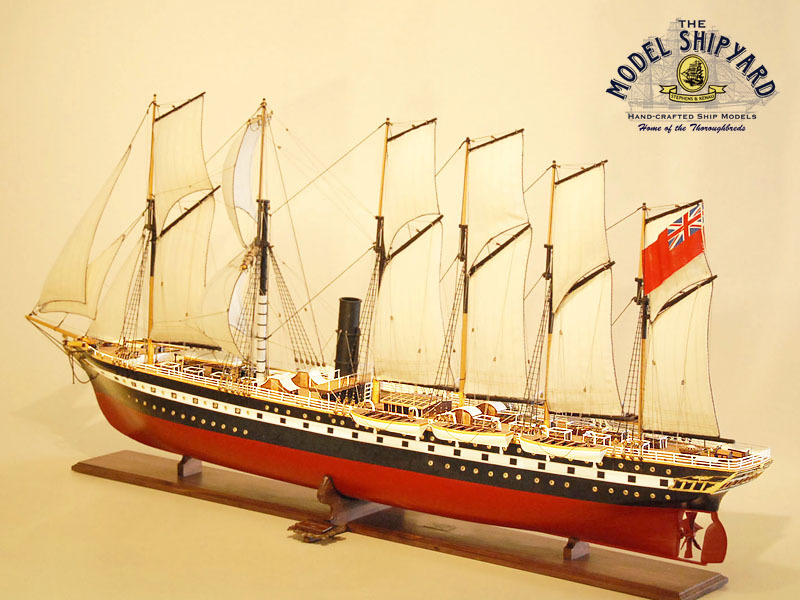 The design for the SS Great Britain included four cylinders, every 88 inches in diameter. The SS Great Britain also carried six masts and her accommodations included 26 single and 113 double rooms. In 1844, under command of James Hoskens, the SS Great Britain sailed to Liverpool and loaded cargo for New York. She arrived after a crossing of 14 days and 21 hours. During her second voyage the propeller blades fell off and a new four-bladed screw had to be fitted. On the SS Great Britain’s fifth voyage in 1846, she ran aground in Dundrum Bay in Ireland with 180 passengers on board. 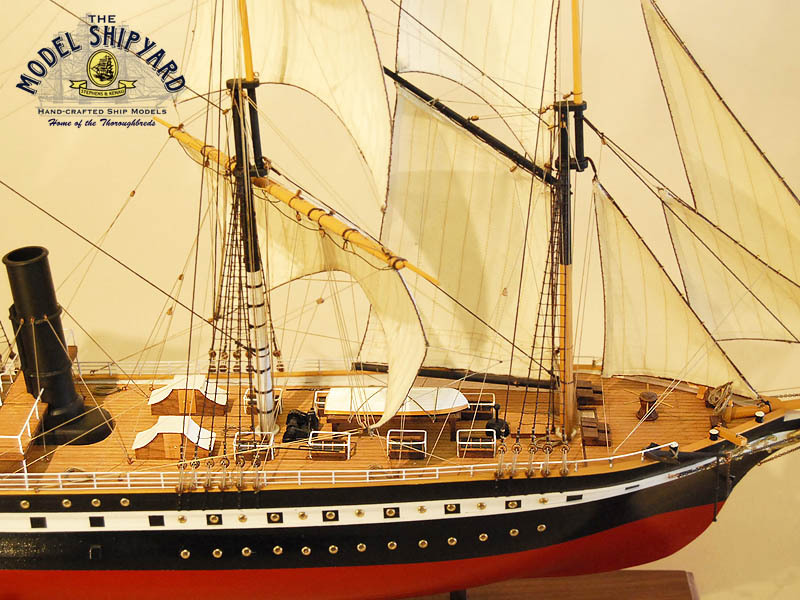 There was no loss of life, but the SS Great Britain could only be freed in 1847 with the help of HMS Birkenhead. The great Western Steamship could not afford to repair her and she was subsequently sold to Gibbs, Bright & Company. The SS Great Britain re-entered service on the transatlantic run with a new three-bladed screw and masts reduced to four. The SS Great Britain arrived in Melbourne on November 1852 after a run of 82 days. The SS Great Britain remained in the Australian passenger trade until laid up in Birkenhead in 1876. She was forced back to the Falkland Islands and condemned. After 47 years as a coal and wool storage ship, the Falkland Islands Company moved her from Stanley to Sparrow Cove where the ship was abandoned. 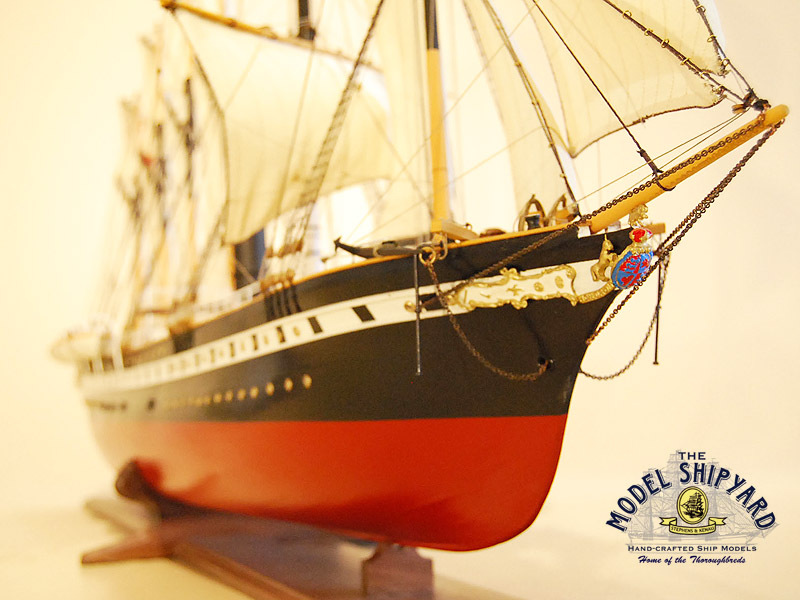 In 1967 the SS Great Britain Project Committee was formed to bring the ship back to Bristol for restoration. In 1970 she was towed from Stanley to Bristol. The original intent was to restore her 1843 state. However, this changed and the conservation of all surviving pre-1970 material became the aim. By 1998 the survey discovered that the hull was continuing to corrode, because of the humid atmosphere of the dock. Extensive conservation work began, by installing a glass plate across the dry dock at the level of the water line and two dehumidifiers to keep the humidity beneath 20%. After completion, she was “re-launched” in July 2005 and visitor access has been restored.